My opponent was one of the people I expected, I knew what he will play with White – Ruy Lopez. I played with him 8 months ago, had a lousy draw when I missed the win soon after the opening and again in the endgame. Then he was ~1520, now ~1750. I had to win in order to get 2/3 (all my opponents being lower rated) and keep my rating. Right after we started I remembered his games and thought that I can beat him in tactics, so decided to play Marshall attack. 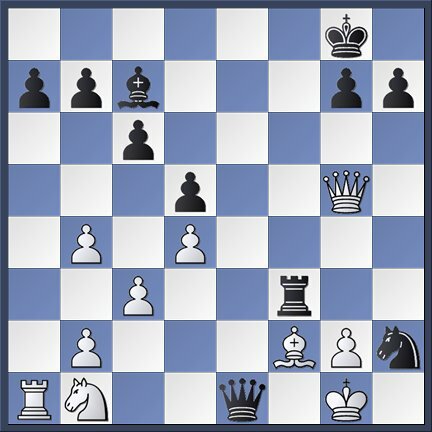 The first sign of trouble was 18… f5, for some reason some time ago I decided that this is more simple and straightforward than the first choice Re6. It is not, Re6 would be very useful later. I think the critical moment of the game was after 22… gxf4. I thought of course about Rxf4, but after 23. Rxe8 Qxe8 24. Qxd5+ saw that he wins “d” pawn, so didn’t like it. Nevertheless Fritz says that Black has a strong attack after that, which can be completely explained by bad position of White’s king and non-developed rook. In the end of Fritz’s line I get advantage which would be enough for me to win. After spending a lot of time, I played differently – Bh3, where he could get advantage, but he didn’t, then 25… Bd3 was really bad, instead Re6 provided equality. I got behind in time and material, was upset and nervous and having 36 minutes vs. his 55 made a horrible blunder trying to get back one of the pawns. The whole game reminds me of something like playing at the concert some nice, but difficult piece on piano. You think you know very well the first part, but you actually don’t. Then you want to play that musical phrase one way, but decide it’s not good and play the other way – bad. After the concert you learn that the 1st time you were right and this important phrase would make your piece beautiful and success. Then your fingers, rough after some physical work can’t extract the fine sounds that you need in this piece. And finally, knowing that you are playing bad and being upset, you also feel some pressure (can’t find analog to time pressure) and go off pitch – ruining your play. “First, they help gain a space advantage by controlling central squares. This control especially diminishes the value of rival knights”. 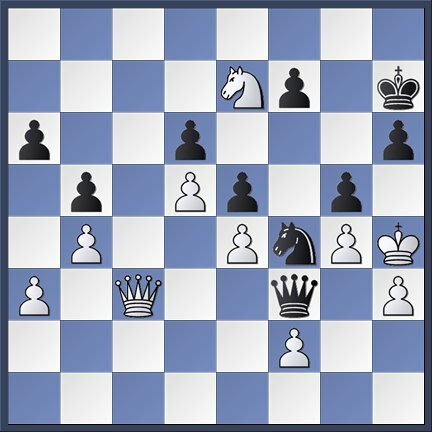 “Second, hanging pawns create dynamic opportunities for a central pawn advance (when the hanging pawns are on files c and d, typically it is the d pawn that will be advanced). 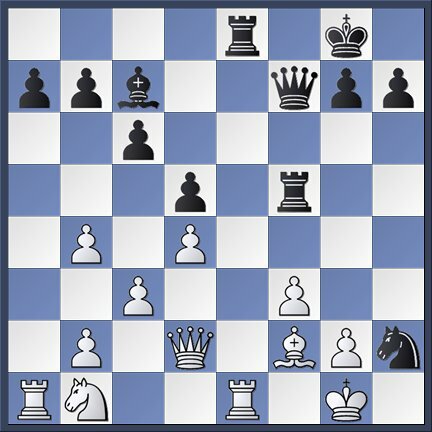 Such an advance can create a dangerous passed pawn and squeeze additional space” – 26… d4. 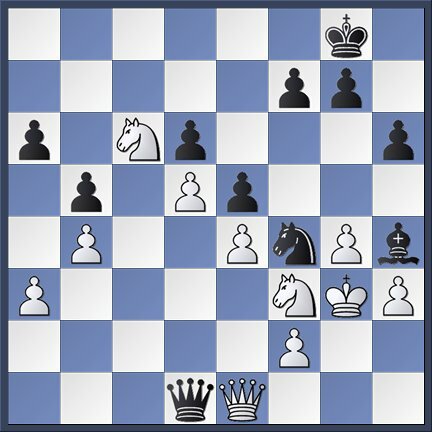 “In addition, such an advance can open diagonals for bishops in ambush” – a8-h1, a6-f1 for the bishop on b7. “Fourth, the adjacent half-open files supply quick transportation for the rooks on both flanks”. II. 36. Kh2 Qxf3 37. Ne7+ Kf8 38. Qf1 Bg3+ 39. 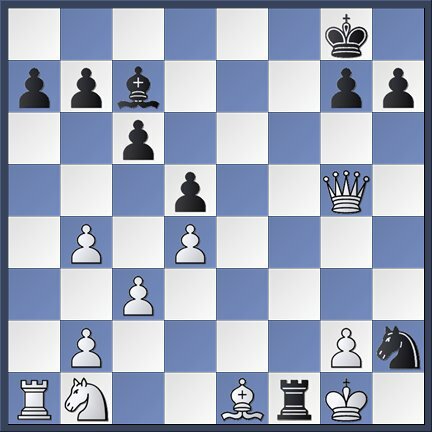 Kg1 Bf2+ with mate on 45th move. As you can see, the final reminds of his most famous game.